1.) Just west of Death Valley lies the Panamint Valley. 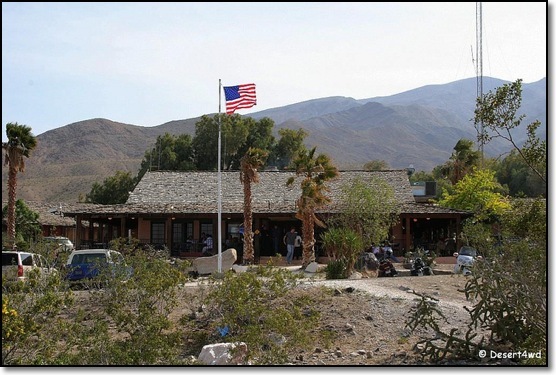 On the west side lies the Panamint Springs Resort. Although some consider it to be roughing it a little too much, I find it just right when I’m in the valley and need an upgrade from camping in the boonies. RV spots/hookups, tent sites (my choice) and cottages. Gas, restaurant and mercantile store. The campground is fairly sparse, but after all, it’s in the desert. 2.) 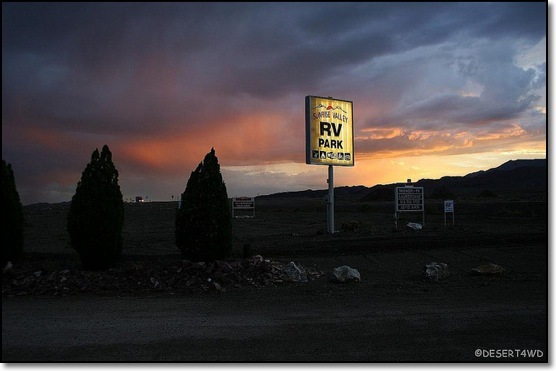 A friendly RV place with a couple of tent or trailer spots as well. A relaxing spot just off highway 95 at the south end of Mina. A nice central location for Ghost Towns and Mining Camps and the Desert Lobster Cafe is just up the road and it makes for a nice break from roughing it. 3.) 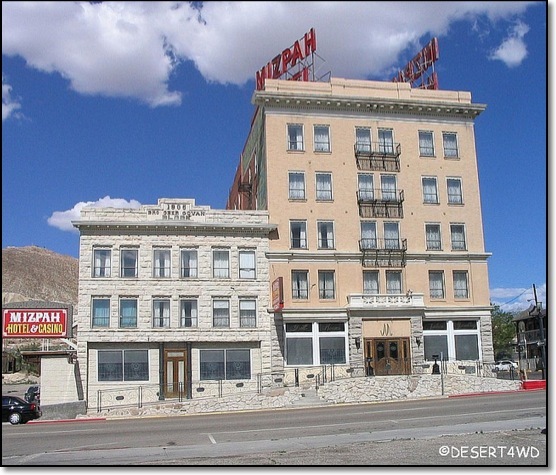 The historic Mizpah Hotel that recently re-opened. The Tonopah Mining Park is just up the hill behind the hotel.